Our quality assurance standards stretch beyond industry standards. Why? Because we realize that mistakes happen in manufacturing. So we put precautionary measures in place that predict and prevent these “mistakes” from leaving our factories. We sleep better knowing that what we ship you is going to meet our exacting standards every time! Many of our customers have previous experience buying direct from factories, relying solely upon the factory’s own internal quality control scrutiny. Through time and experience they have learned that this tactic alone can be a costly gamble, which is one of many reasons those customers now buy through Danican instead. Established relationships with manufacturers who understand us and our standards really well, drastically reducing chances for mistakes and misunderstandings. Our thorough product specification standards which we cover in great detail with our manufacturers to eliminate mistakes and confusion. Our own sourcing organization, native to the region of our factories, who visits our factories often to ensure they understand - and live up to all laws, regulations and certifications. Danican orders 3rd party inspections and sometimes even laboratory testing on our products prior to shipping. This gives our customers sufficient evidence of product quality before shipment from the factory occurs. Overall, our products are tested to ensure they live up to international industry standards. These are substantive tests that most laymen, or even industry professionals, would never have considered. 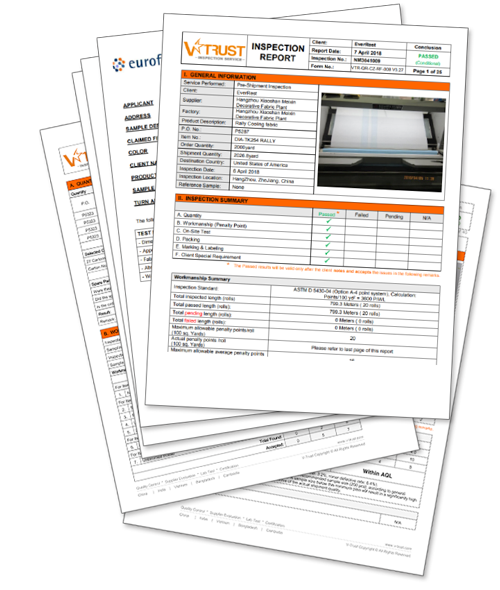 All orders of new products go through Danican’s thorough testing which leads to pre-shipment reports filled with extensive details (often 30 – 40 pages long). Product pictures, metal detection, product conformity checks, fatigue tests, seaming strength tests, smell tests, rub tests, and carton drop tests are just a few of the categories put through testing. Unless otherwise agreed, the order will only ship after our customer has checked the inspection report and approved the order for shipment. Danican also makes frequent impromptu inspections on reorders that are equally extensive to the tests mentioned above. We are not bound by conformity. We like to think outside of the box to bring our clients the ideal solutions for their needs. Partners will find Danican to be reliable and trustworthy. We will do everything in our power to live up to our commitments, even if keeping our promises becomes financially challenging. We are accessible and available to our partners at different times of the day and on various media. We answer quickly to any requests from our clients. Our employees are free to schedule their own work days and holiday. This freedom comes with the responsibility to be flexible and make sure to fulfill customer requirements and back up our colleagues. We seek integrity in all our relationships. We know that mistakes can happen all around, therefore we encourage an open dialog where errors are not covered up but seen as learning opportunities for the entire organization and our clients/partners.